NB: I first offered this series in February/March 2016 as the US Presidential election was gearing up. The following text is unedited since then. Issues around money have been stirred up lately, thanks in large part to the US presidential primaries. It has become patently obvious that in 2016, what makes a candidate electable isn’t her or his intelligence, compassion, “statesmanship” or personal charisma, but that candidate’s access to money. Because, for better or for worse, in our society, Money. Is. Power. Now, this isn’t the first time this has happened, but the sheer over-the-top nature of Trump’s behavior as a candidate has drawn back the curtain on some very rickety scaffolding that is holding our society up. More on this in a minute. After the wild success of my “How to Flourish in 2016” Live Oracle Transmission on the first Monday of the year, I knew that the next call needed to be about money. I looked at my calendar for the year, and put it in May, because that’s when I “had time” for it. Boy, was I in for a surprise! Turns out that the Money, Sacred Economy, and New Economic Paradigm call had to be fast-tracked to February. And then the single call morphed into a series of 3, all within one month. I was in heavy resistance to creating this as a series, partly because as I prepared for the first call, I apparently hit some tripwires in the patriarchy’s security field. All my technology went down for a week, and I felt like a lone warrior armed with bow and arrow in front of the gates of a great walled city that was armed to the teeth and holding all the cards and resources. Several divine sources told me not to market the series widely before it happened so that I would feel (and be) less exposed. And, it was all perfect. I can see now that leaving this money healing until May was too close to the party nominating conventions, and that people’s frustrations and fears could get too intense and destabilizing by then. I can also see how a single call wasn’t nearly enough to move through all of the new information about how to sort out your feeling about money and how you interact with it. Indeed, it feels like this will be an annual series, with upgrades available for each new year. Many people (including me, more often than I care to admit) feel that they are powerless when it comes to money: that instead of owning money, that money owns them. Some describe it as feeling like a prison; others like a master/slave relationship: they feel like money has them in a kind of vice-grip à la Darth Vader, or that their money situation is a boot on their throats. For so many people—the affluent included—this has felt all too true for centuries. That’s the old economic paradigm, one that far predates capitalism as an economic system. The time has come to birth a NEW economic system onto the planet. This system is all about sovereignty and the reintegration of the Sacred Masculine with the Sacred Feminine. In other words: the fall of the age of Patriarchy. The truth is that neither men nor women have full access to their thrones under the Patriarchal system. This call explores how to see where you’ve gotten yourself entangled, and starts the process of unraveling where you’re caught in the net and re-weaving a new, more powerful story, both for yourself and for your finances. One of the places where most Western humans need reintegration are in their masculine and feminine. This call delves deeply into ways to bring wholeness to your heart (compartmentalization and splitting-off being hallmarks of the current, and moribund, Patriarchal system) so that you can employ that Love Magick outlined in call #1 everywhere. 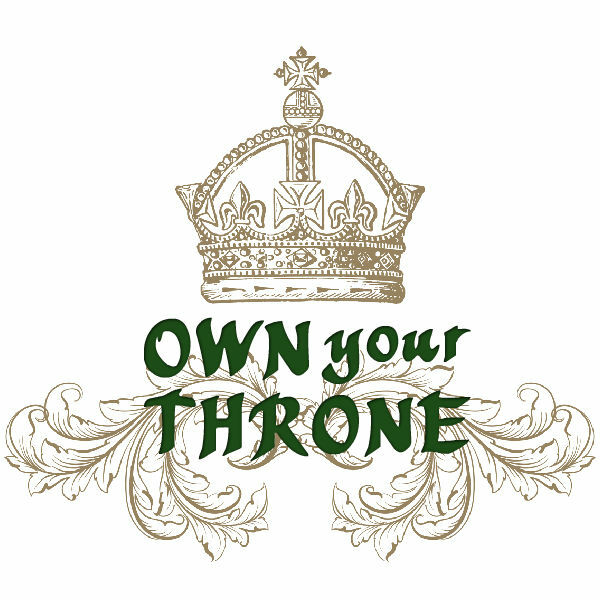 What is clear to me is that not everyone is ready for this information, because not everyone is ready to wear their crown and sit on their throne: fully owning all their gifts in compassionate leadership. Not everyone is ready to utterly surrender to that deep magick of Love. You can find out if you are by listening to the selection from the first call’s channeling portion below. If you’re not feeling ready, that’s okay. You might want to bookmark this page to be able to come back when you are. If you ARE ready, just click the link below. Hi. I’m Elizabeth Locey, Ph.D. + Oracle. After a short yet distinguished career as a professor of French + Women’s Studies, I have dedicated myself professionally to channeling Divine Wisdom in service to humanity, awakening in people the long-dormant magick of using intuition and crystals, and guiding a select few along their evolutionary edge via Personal Oracle Consultation, the Legendary Self Explorations, and Being Mythic. Each call starts off with a powerful energy clearing session that you can listen to over and over to (re-)clear your field, let go of the limiting beliefs and old stories that have been hanging around for years, or surfaced since the previous listening. Energy cannot be bound by space and time, so I will be with you supporting you at every step, each time you choose to listen. This is alone is worth the registration fee: you can listen every day if you need to. These healing/clearing sessions are the perfect preparation for the Oracle Transmissions that follow; each call contains at least 2 hours of questions and divine answers about that call’s topic around Money & Sovereignty. We encourage you to listen to the transmissions in short bursts as they are very rich. When listening to the replays, check in with yourself every 10-15 minutes to make sure that you are still able to process the information that you are receiving. For some some, taking notes or doing art (doodling counts!) will help you to process more, and more easily, as well as provide visual reminders to jog your memory later. For just $197, you’ll get to step into the Vortex with me three times, let go of whatever you need to release, benefit from all the questions and answers about new ways of thinking about and handling MONEY (including how to bring it in, and what to do with it once you have it), and add the recordings to your personal listening library to refer to again and again throughout the years. If you have participated in or listened to previous Live Channelings/Oracle transmissions, you know what a captivating energy this vortex invites you to partake of. It’s the frequency of pure Divine Love, a vibration that is almost shimmery: sweet, gentle light, like floating on the clouds. You should know that the energy of the ethereal plane is still very present when you listen to the replay. You’ll want to get grounded afterwards before doing serious work or getting behind the wheel of a car, as this sweet energy is so potent that you’ll be walking a few inches off the ground until you do. Also, please note that you will benefit from the energy work at the start of the call every time you listen. ENERGY WORKS OUTSIDE OF SPACE AND TIME, so you can re-clear yourself every time you listen: that alone is worth the price of admission. TRUST THE MAGICK. The total run time of this series of over 8 1/2 hours. When you register below, you’ll be taken to a page featuring the recordings so that you can listen and download right away. I can’t wait share this amazing series that it was my honor to bring through with you. If you’re a clear yes, click below to get access to the calls. Whether or not you are live on the call to ask your questions, you’ll receive the full benefit of all of the channeled answers as well as the energy clearings.